In a letter addressed to Mr. Anil Dave, Minister of State for Environment, Forest and Climate, Advocate Prashant Bhushan has demanded to withhold the commercial release of GM Mustard, which was approved by the Genetic Engineering Appraisal Committee (GEAC) on Thursday. He thereafter, enlists three grounds for withholding the approval. First, he relies on the assurance given by Attorney General Mukul Rohatgi, in October, 2016 that the Union of India will not release DMH 11 “without the prior approval of the Supreme Court”. Third, he emphasizes on the “lessons of history of GMO regulation in India”, averring that it is marred by “the most serious conflicts of interest and lack of expertise”. 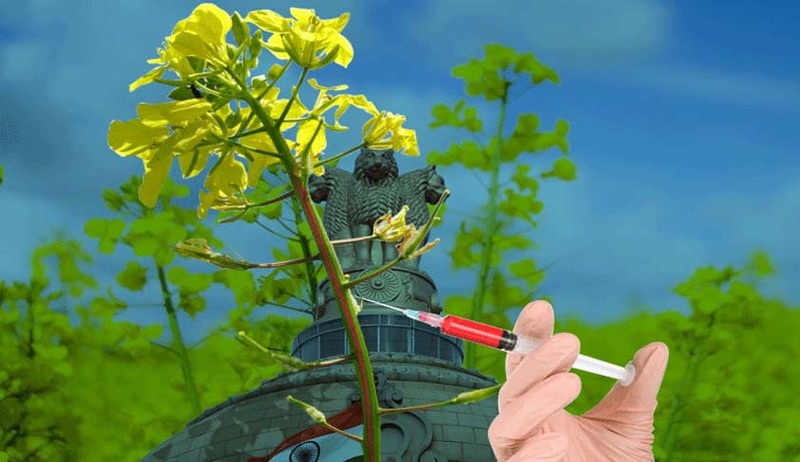 “For this reason, self-assessed safety dossiers by crop developers are kept secret by our Regulators and governing Ministries,” he further points out, highlighting the fact that the GM mustard dossier has also remained unpublished. The letter goes on to rely on certain statements made by the Centre and the GEAC in a reply affidavit filed before the Apex Court. For instance, the Centre had, in the affidavit, admitted that there has been no claim that DMH 11 out-performs Non-GMO hybrids. “Therefore, we draw the conclusion that the stated regulatory intent is to deregulate HT DMH 11 as a policy agenda based on no science, and to convert India’s mustard agriculture, in a massive and dangerous experiment, to (GM) HT hybrid mustard, (variants of DMH 11),” the letter thereby states.